These last two series will be wrapped up tonight, and hopefully I can keep my success streak up. Currently, though, with a 6-0 record I am very pleased with the model so far. Wish me luck! Today's post is gonna look a little bit about some of the behind-the-scenes math that goes into this model. 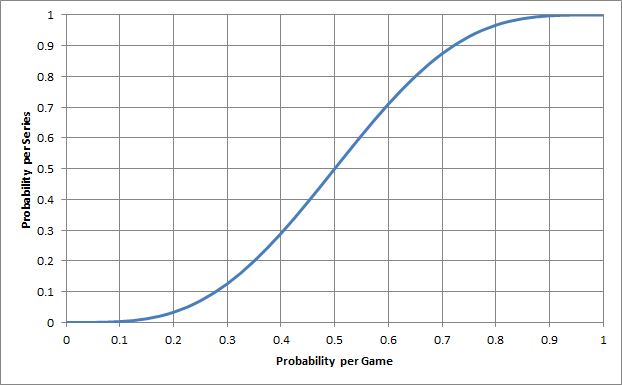 What's really important is to be able to take the odds of winning an individual game and convert those into the odds of winning the series as a whole. Fortunately this can be done pretty easily using a binomial distribution. 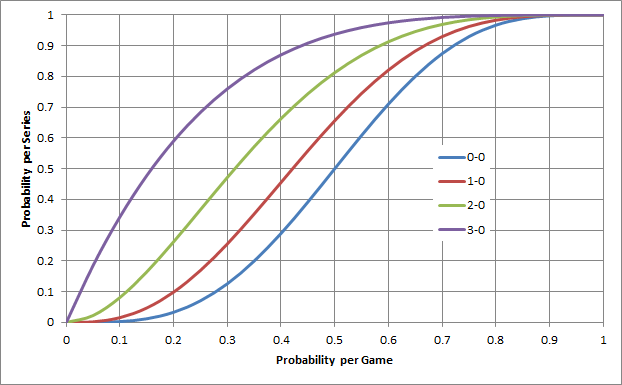 One other factor that could have an effect is home team advantage. 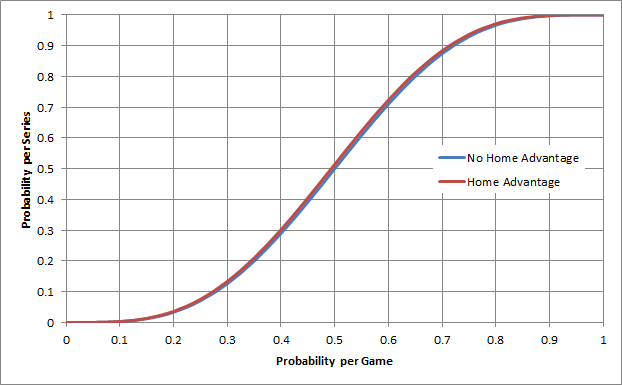 The series get close to balancing out the number of home games between the two teams, but whenever a series ends on an odd number of games the team who had the first home game ought to have an advantage since they've had more home games, right? Well that's not much of an advantage at all, is it? Probably a good thing. So there you go. See you again next week!